Do you have an example of something you learned about leading volunteers from an unexpected source? Please share. I learned how important it is to make people feel that they are developing from my tennis coach! He was so positive patient and encouraging despite my clumsiness that it really motivated me. I took this lesson and found reasons to praise my volunteers for the smallest of their achievements. One of the best pieces of advice I ever heard you give is that, when attending a conference with multiple workshops, attend at least one that you believe has NOTHING to do with your job, your organization, etc. I've made a point of doing that - I question your wisdom every time the workshop begins, and then believe in it all anew when the workshop is over. I remember when I directed the Virtual Volunteering Project, for instance, and found myself at a volunteer management conference, in a workshop about a collaborative effort to clean up a park next to a hospital. And I walked away with an idea for two new blogs and a whole new way of thinking about what "collaboration" really means. 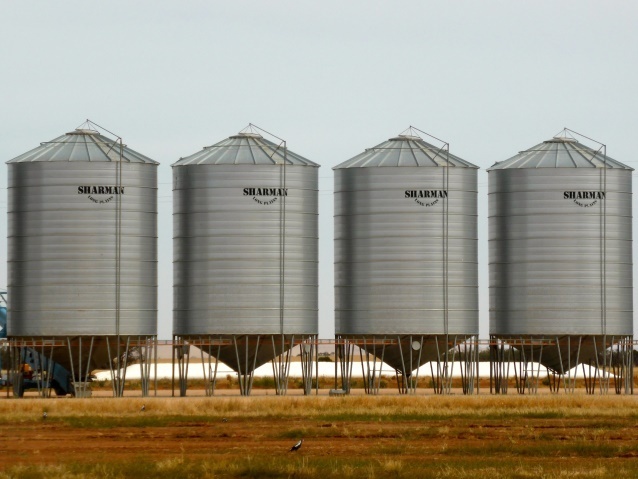 A great example of silos: all the people that present on volunteer recruitment, or volunteer risk management, or involving youth volunteers, and never mention virtual volunteering, believing that belongs in its own silo - a workshop of its own, only. Glad my advice was sound, Jayne! I keep testing it myself, and -- assuming a decent presenter, of course -- always come away from a session outside my usual interests with some fresh thoughts. And of course I agree about virtual volunteering. That's so true, Susan and Jayne. One of the best conference workshops I ever attended was on developing apps for your nonprofit. It's something I knew nothing about -- and to this day, I have no immediate use for the information. But I was so impressed by the creativity of the participants (we had to break into groups and "design" apps for our organizations). The exercise taught me a lot about the needs of different volunteer programs and how they might be addressed. Great topic, Susan! When I have presented at state-wide conferences as well as at local workshops I have encouraged participants to widen their scope of information (another way of "thinking outside the box". In hindsight I believe I have a tendency to do this because of my theater background. Sometimes asking the initials question "what did you come to learn?" or "what are you expecting to get out of this workshop that you can take back with you?" seem too direct, but the answers can be helpful to the facilitator. Thanks for posting, Karen. Those questions are certainly useful and not too direct at all. (I also like to ask: "What's a burning question you're really hoping I cover today?" -- and try to do so, but if I can't, I let them know right away.) But in some ways the point here is to help people be open to the UNexpected. So it might be fun to ask: "Did anyone come today because you were skeptical that this topic is really for you?" The Silo Mentality doesn't only pertain to volunteer managers, you can see it in all professions especially when you are dealing with students. I was teaching a class in the Human Service Department on Volunteer Management. We were having trouble getting students to enroll since it was considered an elective. Majority of these students will be transferring to a 4 yr college to complete their degree in Social Work. Here is what I heard when we were discussing with student about enrolling in Volunteer Management or the Leadership Class. "Why do I need this class, I am never going to have to work with Volunteers". I guess all of them thought they would just do one on one work with clients behind closed doors, never seeing the outside work. True silo mentality. I would love to be a fly on the wall when an executive director of a organization assigns that silo Social Worker the volunteer program. We see it in our profession and we see it in others. Look around how can all of us help each other learn new professional skills and help our co-workers learn about volunteers and what an amazing job each of them do for our organization, community, country, and the world. Great article. So glad I found your website again. I am, too, Jennifer! Thanks for the pertinent post. May I broaden this a bit? I observed in my neck of the woods that many nonprofits would receive trusted periodicals about their own field and well-known mass-circulation news media. So would businesses. The difference is that businesses would also receive periodicals about general business, organizational management, and other in-between topics. Nonprofits rarely did. As confirmation, I looked in free libraries, both general public libraries and a library specializing in the nonprofit sector, and found far fewer periodicals with content on nonprofit general management than exist for for-profit businesses. The content differences are enough to justify more nonprofit management media but the subscription income isn't forthcoming and just try imagining a newsstand carrying them.